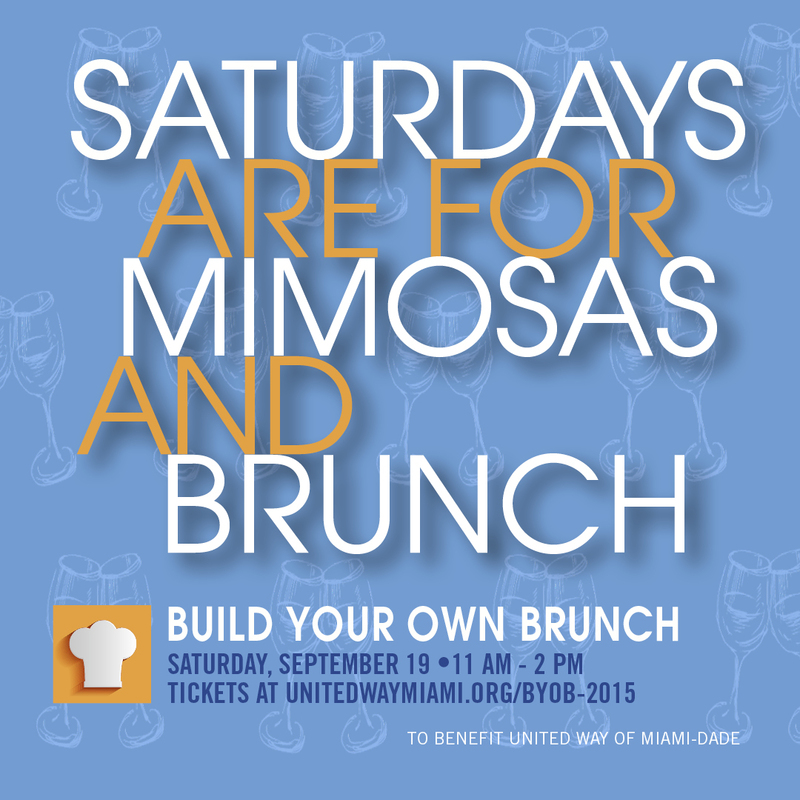 Fatgirl Hedonist: United Way's Build Your Own Brunch Giveaway! United Way's Build Your Own Brunch Giveaway! 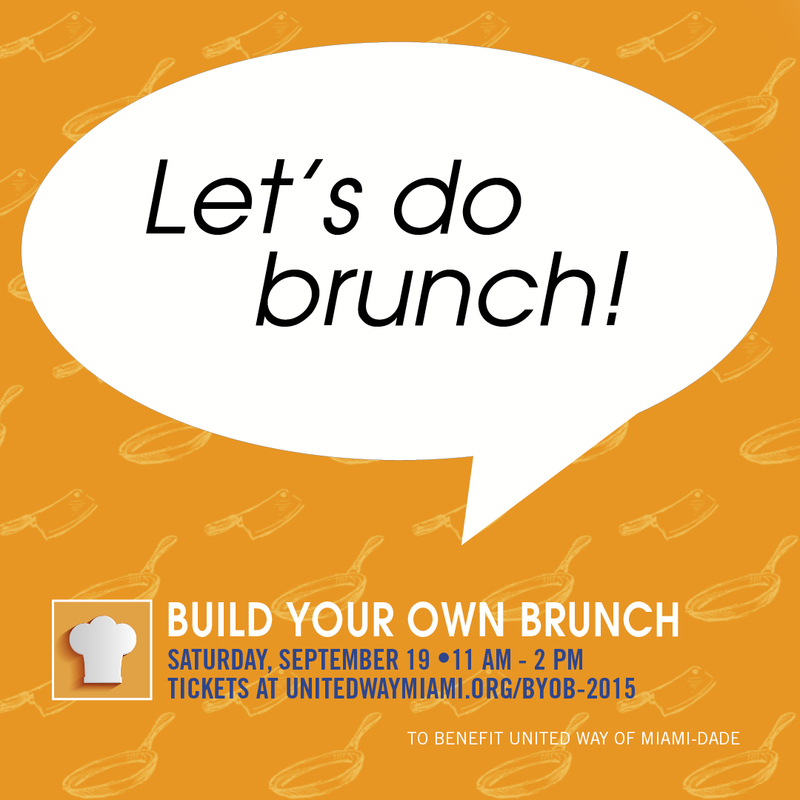 Saturday, Sept. 19, 2015 United Way of Miami-Dade Young Leaders will host an interactive cooking and eating experience, Build Your Own Brunch (B.Y.O.B.) at the Intercontinental Miami. Beginning at 11am, guests will prepare a three-course brunch, under the guidance of some of Miami’s brightest young chefs, Brad Kilgore of Alter, Roel Alcudia of The Cypress Room and William Crandall of Izzy’s Fish and Oyster. Aside from the food, there will be tons of wine, spirits, cocktails and all the craft beer you can chug. All event proceeds benefit United Way of Miami-Dade’s work to strengthen families through education, financial stability and health. While the chefs lead guests through each course, attendees can get some extra help from Johnson & Wales culinary students, who will serve as sous chefs and sommeliers. Miami Herald food editor and Young Leaders member, Evan Benn, will be on hand hosting the event. In between courses, guests will enjoy a brief live auction, featuring exclusive foodie items and experiences. Since the event is a fundraiser, tickets are not cheap. General Admission tickets go for $125 per person. However, I'm here to help you get in to wine and dine with the best of them for free! I'm giving away 2 tickets to this awesome, interactive event. Winner will be randomly selected on 9/17/2015! My favorite thing to eat for brunch is Eggs Benedict with a glass of Mimosa. I love an omelette with spinach, tomatoes, onions and cheese. Must pair it with ENDLESS Bellinis. I LOVE french toast with banana, peanut butter and pecans and whip cream! short rib eggs benedict! que rico! My favorite thing to eat for brunch is chicken and waffles! I LOVE MIMOSAS AT BRUNCH! Poached eggs on top of buttery, cheesy grits and thick cut English Toasting Bread toast. And a very large orange juice and rum cocktail. A crispy outside and soft and fluffy waffle with a crunchy but juciy piece of fried chicken. 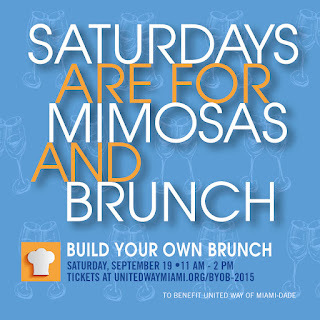 Brunch wouldn't be the same without a mimosa, or 3, while enjoying some fluffy waffles! My favorite please to brunch right now is Rok burger. Free mimosas for ladies gets me every time! My fav place right now is Rok Burger! Free mimosas gets me every time! My favorites for brunch are challah Nutella French toast and bacon, egg white omelette with bacon, steak and bacon, blueberry pancakes and bacon, and MIMOSAS! The pants are unbuttoned every time. My favorites are bacon on bacon on bacon everything. Challah Nutella French toasts with a side of bacon, steak and bacon, egg white omelettes, banana pancakes, bfast burgers.... And bottomless Mimosas! All with bacon.